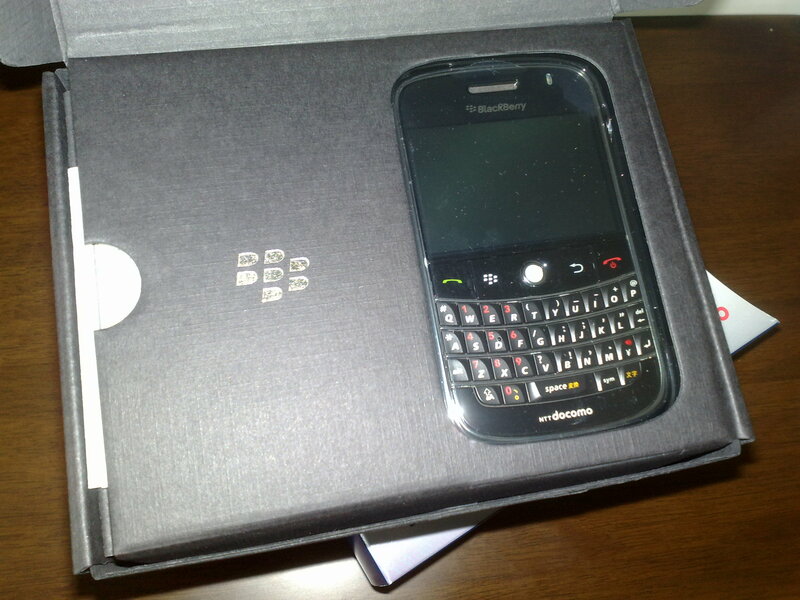 Maybe it’s a bit late to be excited to have Blackberry Bold now, but anyway I’ve got one because I had a bonus this week. I ordered it online and this morning a courier delivered it to my house. 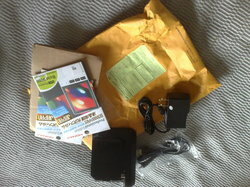 These are a cradle, a charger, USB cables and screen protectors I ordered from Hong Kong before hand. I pulled my SIM card off my Blackberry 8707h I kept so far, put it into the Blackberry Bold and turned its power switch on. After several initial setups, the main menu appeared and NTT DoCoMo network was captured. One problem occured. I found there was no email settings so I couldn’t set up emails I had used on 8707h. 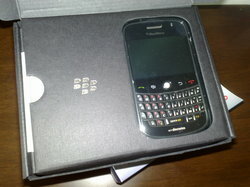 According to manuals, it was necessary to log in to Blackberry’s website at blackberry.com to change PIN and IMEI into ones of the Blackberry Bold, as well as to send a service book to the new device. 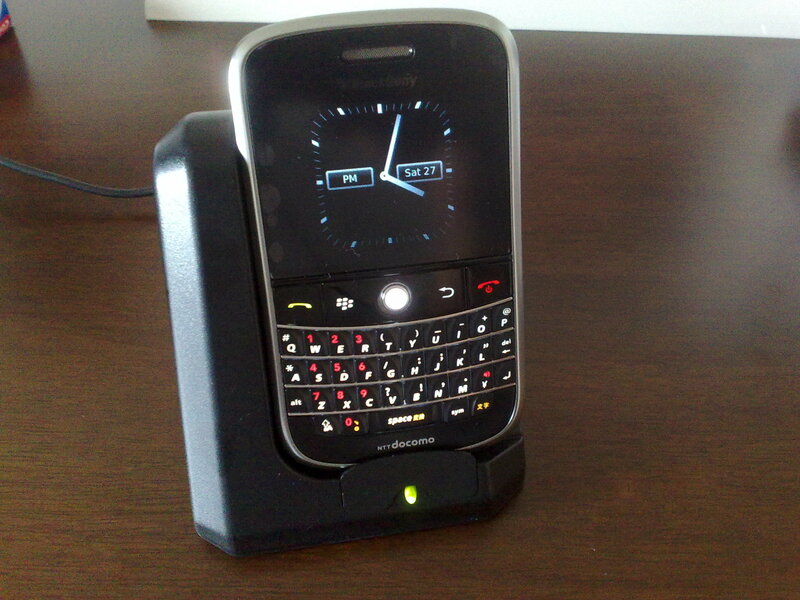 Doing so, three email icons according to the email accounts I’d used so far appeared on the Blackberry Bold’s screen. I configured its WiFi settings so that I can use it over the wireless LAN in my room, and set up Bluetooth so as to send files to my Nokia smartphones. I installed Google Sync into it to synchronize contacts into Gmail’s ones. Other than them, I installed twitterberry, a news reader and other utilities to make it more convenient when commuting to and from office. Now the setups are almost complete, except for one problem with USB connection to my PC. I installed Blackberry Desktop Manager on my PC running Windows XP and connected my Blackberry Bold to it with a USB cable, but nothing was detected. When I connect my 8707h with the same USB cable to the PC, it can be normally detected. Why? Windows XP problem? Or problems with settings of the Blackberry Bold? Please tell me why if you have any idea.